Note: Online segments are 7-8 weeks long, in between the In-Person segments. Want to Work as Support Staff at our Trainings? If you are a graduate, you can continue to hone your skills and earn continuing education credits as an ABM NeuroMovement Practitioner. Click here to learn about our upcoming Support Staff Opportunities. *Disclaimer: Anat Baniel Method International retains the right to cancel any of the events listed above, change location, change dates, for any reason. In case of cancellation, trainees will receive a full refund of training days paid for, that have not been taught. Christine, a mother of a child with special needs, shares her experience with the Practitioner Training program. Experience powerful transformations with NeuroMovement®. 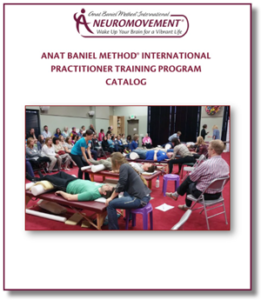 After you graduate from the ABM Practitioner Training Program and get licensed as an ABM NeuroMovement® Practitioner, you will have the exciting opportunity to continue your training and specialize in the three areas. The Practitioner Training Program and three areas of the Continuing Education Mastery Workshops create an integrated whole. The first area of specialization is Children with Special Needs. If you are a graduate of this certification program, you can continue to hone your skills and earn continuing education credits as an ABM NeuroMovement Practitioner. Click here to learn about our upcoming Support Staff Opportunities. Note: OL workshops are pre-recorded and live conference calls will be recorded for later listening/viewing. “This training is simply amazing. 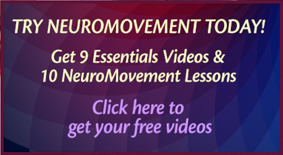 Become a cutting-edge NeuroMovement® Practitioner!